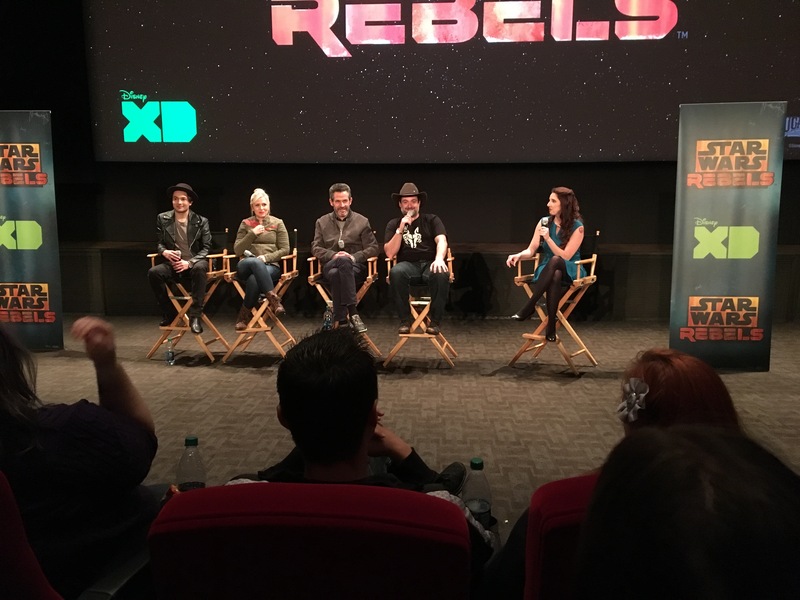 Dave was kind enough to sit down with me before the unveiling of the series finale of Star Wars Rebels and share some of his thoughts on these four epic seasons. Was there a definite arc for the main characters and how did that change over the four seasons? I think we had arcs in very general terms. The thing that helped most of all was when Simon Kinberg talked about this being a family and that was kind of my North Star for the whole thing as we developed it. I was constantly hounding everyone for “Where is this going?” That was my trumpet. “Where is this going? Why is this kid important? How does this get to a point where this is necessary? What are we learning in this story?” These are things I’m constantly asking, so a good portion of it developed as the characters developed and as they came to life. Was Kanan always supposed to die? It was something we all kind of felt was going to happen. I won’t say we were a completely unified group on that from the beginning, but that’s only because that’s smart in that we want to explore every option and hear every voice and make sure if it comes to that we do it for the right reason and there’s a point to it. Freddie was very solid that it’s what should happen to Kanan from the very beginning and there was no swaying him on that at all. 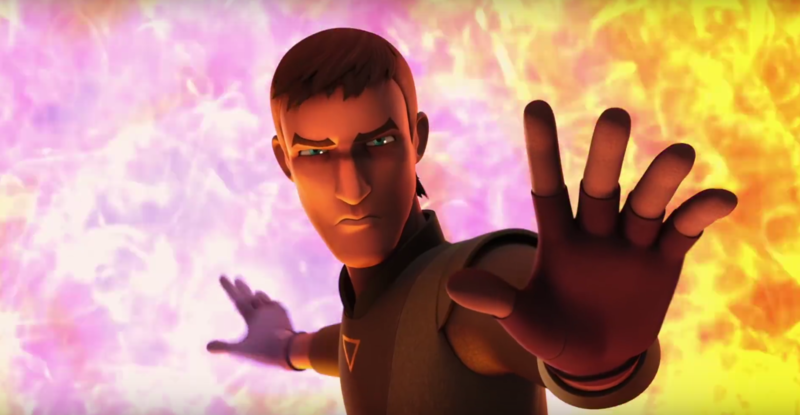 But that was good because it kept us again on the right track for the character development of Kanan from this lost soul of a Jedi who was covering up who he really is to someone who really learns the value of being selfless and for others and that’s the greatest expression of the Force. On the other side was Ahsoka always meant to come back? It’s something I was always pretty sure of. The beauty of it is I put her in what I always love most which is a nicely ambiguous situation where it could go either way. And I think sometimes when you wonder what happens to a character it’s an interesting thing and a compelling thing as a fan because it allows you to imagine and dream and explore what did happen to them. Sometimes knowing the answer is the least interesting thing that can happen. But when I thought I had it all figured out and the right avenue, I knew she shouldn’t come back in Season 3. I knew it would be in Season 4. But again it had to service Ezra somehow and his experience, and it really made sense when Kanan disappeared that she would reappear. And so it’s like one Master transferring to another as a way to bridge his lesson and then he gets a shared lesson between Kanan and Ahsoka which I think is a really nice thing for both characters. Was there any one character or characters you wanted to explore that just didn’t quite fit? Not particularly. The one character that comes up in my mind from time-to-time is Barriss Offee from The Clone Wars who really kind of ran afoul of Ahsoka at the end. But I’ve always wanted to explain what that story is like and how that goes and I’ve never found the correct place for it and it just didn’t fit into Rebels because we’d have to explain too much about who she is. And again it’s not really relevant to Ezra’s story, so that’s one that lingers in my mind, but I’m pretty happy with everything we got to do. 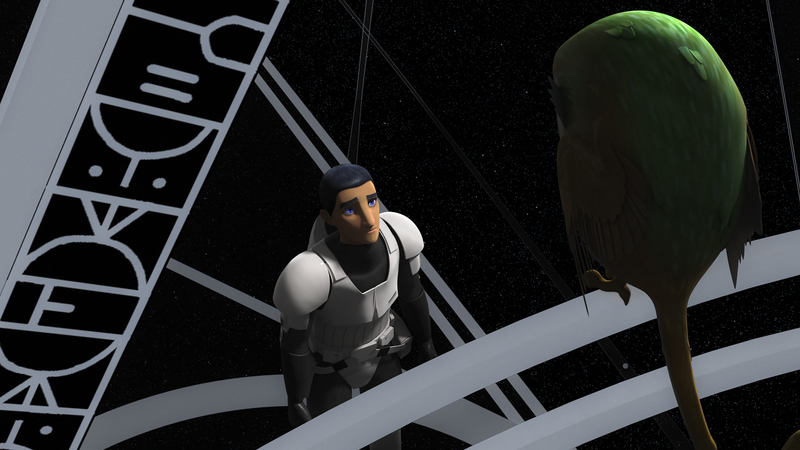 Two years ago, you mentioned that you liked to believe the old soldier seen in the final Battle for Endor was Rex. Is that officially a thing or does it remain just a speculation for fans? I think it’s best as a speculation. It’s fun to think about but I get that fans have different likes and different interests and I’m not in the game of trying to define things. So I think that for fans that want to believe that, that’s fine. I understand that. And for fans that don’t, I think that’s fine, too. I think there’s more than one Star Wars character out there with a grey, old beard running around with Endor-like armor on so you can “choose your own adventure” with that one. But some people really like things as they are and I respect that. I don’t think we need to go out of our way to make all kinds of connections. It was more of an interesting thing that was brought to my attention and I thought, “That’s kind of funny.” I think when you’re a creator you think that would be neat to have a character we did be included in that way, but that was never the intention back then. And so I think you have to be very careful with what are you serving there. How does that help things? One of the most logical things you could say is, “Well, if Rex was there on Endor then I doubt they would have gotten captured because Rex is a pretty smart veteran.” But I leave it to the interests of the individual to decide. 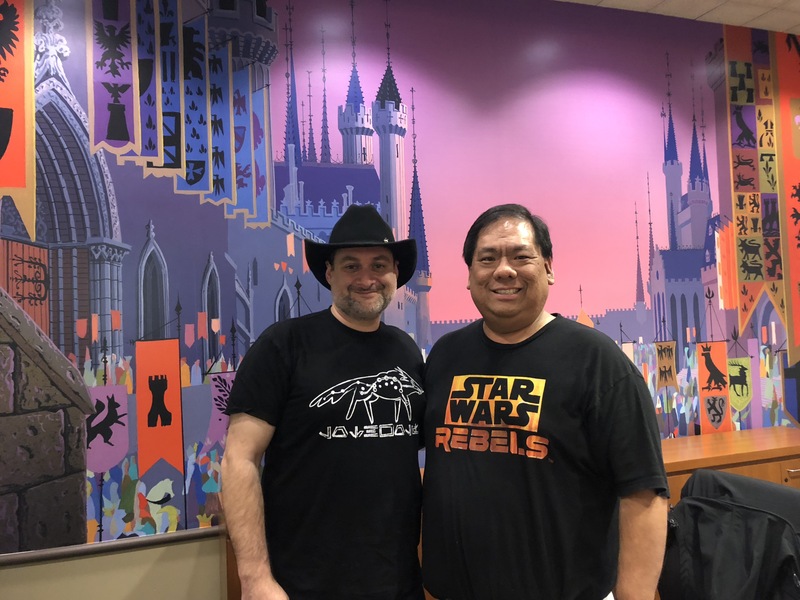 Big thanks to Dave for giving us his time and insights into this phenomenal series, Star Wars Rebels and to Disney XD for allowing us to have an opportunity to connect with Dave once again. If you’re reading this before the finale, make sure to watch tonight and see the incredible ending for yourself. It is well worth your time!